Welcome to the 58th Edington Music Festival. 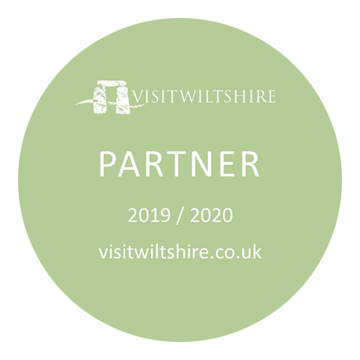 Whether you are a resident of Edington, an annual visitor to the festival, or attending for the first time, I hope that you enjoy this unique experience. Rather than adopting one over-riding theme, this year we celebrate the lives and witness of five female saints, all of whom have enriched the Christian church through their work and influence. 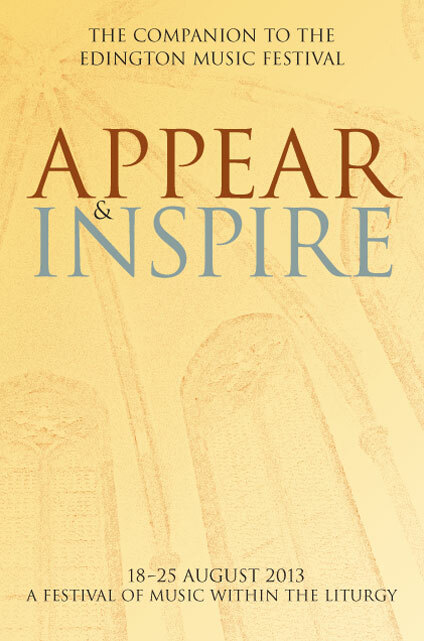 The themes come from their legacy: Mysticism & Vision (Julian of Norwich), Intelligence & Learning (St Teresa of Ávila), Service of the poor (Blessed Teresa of Calcutta), Music (St Cecilia), Humble service in small things & Love (St Teresa of Lisieux) and Obedience & Faithfulness (The Blessed Virgin Mary). You can imagine that this has enabled us to offer a typically wide repertoire at this year’s festival. Of particular note is the inclusion of three of Victoria’s great Mass settings (which can be heard on Tuesday, Wednesday and Saturday at the Sung Eucharist), Duruflé’s plainsong-based Requiem, and Mozart’s Coronation Mass. The one hundredth anniversary of the birth of Benjamin Britten is one of the most significant musical anniversaries being celebrated this year, and I hope that you will enjoy hearing the range of his choral music on offer this week. Of particular interest might be his first masterpiece, A Hymn to the Virgin, written when the composer was just sixteen, or the Hymn to St Cecilia, a remarkable collaboration between Britten and W. H. Auden, and written on board M.S. Axel Johnson during the composer’s return from America in 1942. It is a nice coincidence that Britten’s birthday falls on St Cecilia’s Day (22 November)! This festival has an impressive history of introducing new works into the repertoire, and I am pleased that Neil Cox has accepted the festival commission. His setting of Blessed Teresa’s words ‘The fruit of silence is prayer’ will be heard at Choral Evensong on Wednesday 21 August sung by the Consort. The week provides a platform for a number of contemporary composers, and I hope that you will enjoy hearing the Latvian composer, Eriks Ešenvalds, at the Sung Eucharist on Wednesday, and Francis Pott at Matins on Friday. We are blessed to have our own in-house composers in the form of Matthew Martin and John Barnard; Matthew’s A Prayer of St Teresa was written for the Choir of Westminster Cathedral, and will be heard at Matins on Friday morning, and you will have the pleasure of singing two of John Barnard’s memorable hymn tunes during the week. We are grateful to the BBC whose annual visits bring the festival to the attention of many thousands of listeners. And we are particularly pleased that in addition to the broadcast of Choral Evensong on Wednesday 21 August, Sunday Worship will be broadcast live on Radio 4 at 8.10am on Sunday 25 August. Embracing this wonderful opportunity to share our work, Chris Chivers has prepared an excellent programme based on Martin Luther King’s ‘I have a dream’ speech made fifty years ago on 25 August at the Lincoln Monument in Washington, one hundred and fifty years after Abraham Lincoln proclaimed the emancipation of slaves. I hope that you will start the last day of the festival by joining us for this early morning service, not least because we need some lusty congregational singing in the hymns! 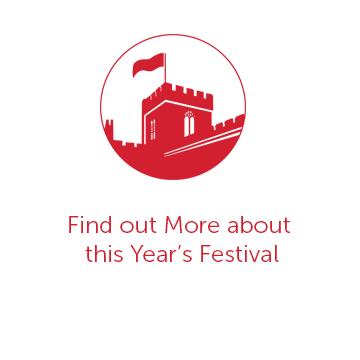 It is always good to welcome new faces to the festival, and it’s particularly good that we have had to look no further than the Diocesan Cathedral for the new Festival Organist. John Challenger takes over from Peter Stevens at the organ bench as this year Peter directs the Schola Cantorum. Although no stranger to the festival, we welcome Paul Brough to share the conducting of the Consort with Jeremy Summerly, and Matthew Martin continues in his role as Director of the Nave Choir. Sadly, this is the last time that Chris Totney plays the organ at Matins and Compline; we are very grateful for all that Chris has brought to the festival over the last ten years. Since the 2012 festival, Peter Norfolk-Brown has retired as Verger of the Church and of the festival. I hope I may offer belated thanks to him for all the care and attention to detail he has shown in his role—he will be much missed. His successor as Festival Verger is Matthew Power, the Head Verger of Christ Church Cathedral, Oxford. All of us ‘visitors’ appreciate the welcome we receive from the Vicar, The Reverend Mark Jones, and all in Edington, especially the team who work so hard throughout the year to put this festival together: Clare Norfolk-Brown, Sheila Pinson, Nicholas Buckman, Julia Taylor, Allan Edwards, Christine Laslett, John d’Arcy, Rachel King, Sheila Miles and Chloë Watts. I would also like to offer my thanks to those from the festival who have taken on special responsibilities: John Barnard, Mark Bushby, Hugo Janacek, James Butler, Emily Roberts and Eleanor Lane. I would have been completely lost without the guidance and encouragement of the Festival Administrator, Peter Roberts. On behalf of all of us, huge thanks to him for his unending hard work, without which this festival would simply not happen. We have a terrific clergy team, and look forward to welcoming The Very Reverend Michael Tavinor, Dean of Hereford, to preach on Saturday, and The Right Reverend Dr Edward Condry, Bishop of Ramsbury, to preach on Sunday. For the second year running we visit the wonderful church at Steeple Ashton for the Festival Organ Recital, this year given by Daniel Hyde, the Informator Choristarum and Organist of Magdalen College, Oxford. But it will be the new organ at Edington that takes a prominent role at the 2014 festival, as we dedicate the instrument currently being built by Harrison and Harrison. I wish to acknowledge the formidable work of my predecessor, Ashley Grote, and the Organ Appeal Team who have toiled unstintingly to bring this project to fruition. I hope that this will be the last festival when we are appealing for funds—we are currently £26,000 from the target. It would be terrific if we could complete the fundraising this week. Thank you to all who have given: you have helped to bring about a new instrument that, whilst being a fine work of art in its own right, will make such a vital difference to the church and the festival.